I love grocery shopping especially at Japanese or Korean groceries for things you can't find in the normal groceries. 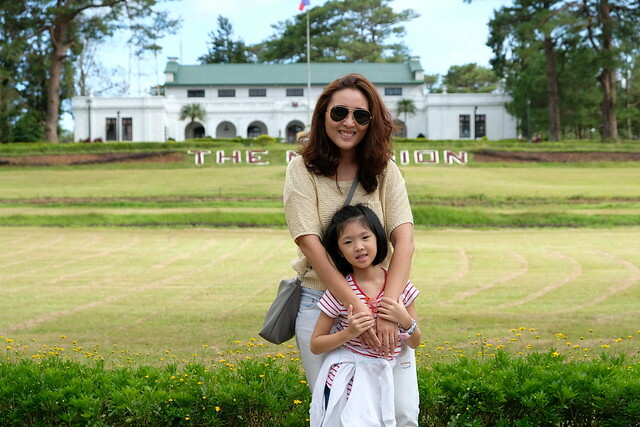 I go to Konbini in Greenhills, the Japanese grocery in Little Tokyo or any Korean grocery in Malate. 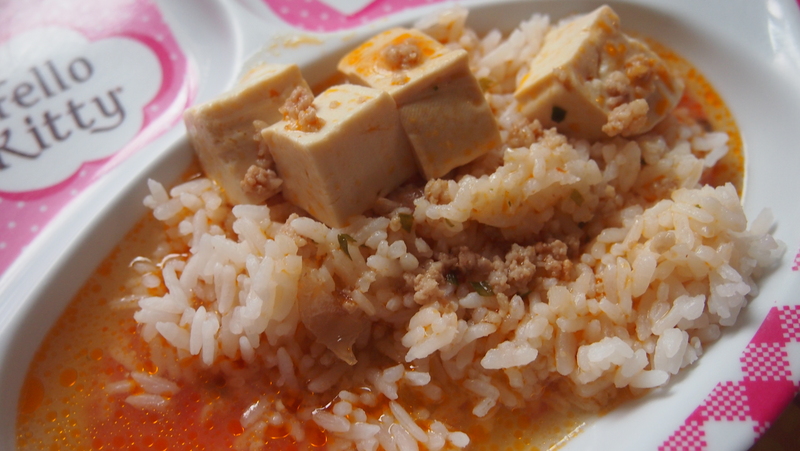 One of my discoveries is Marumiya's Mabo Tofu in Sweet variant which I bought in Little Tokyo for about Php149 I think. I bought this so the kids can also try it. This was actually my second time to buy and cook this. 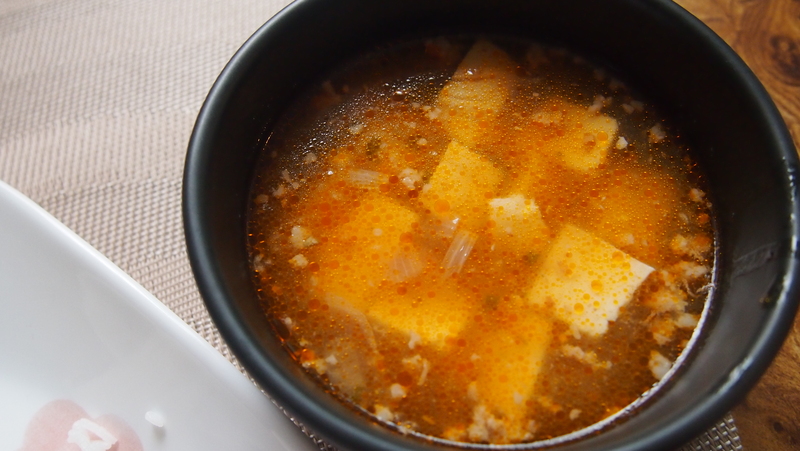 Diba Mabo Tofu is supposed to be malapot? 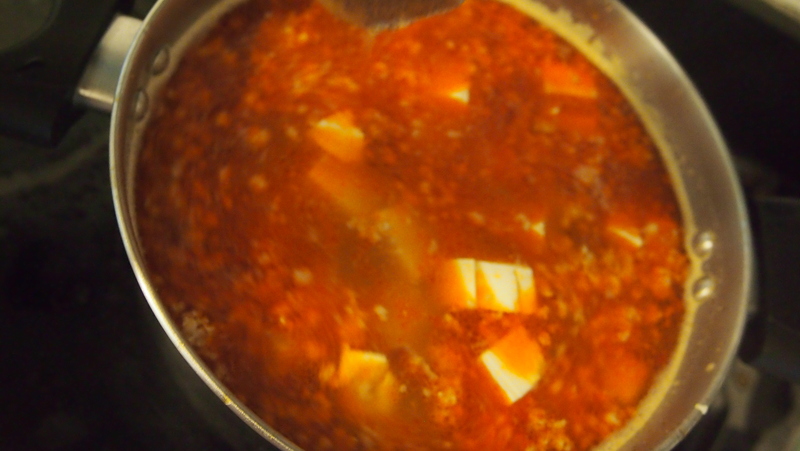 This one is soupy which at first I thought I cooked it wrong the first time but turns out really good! 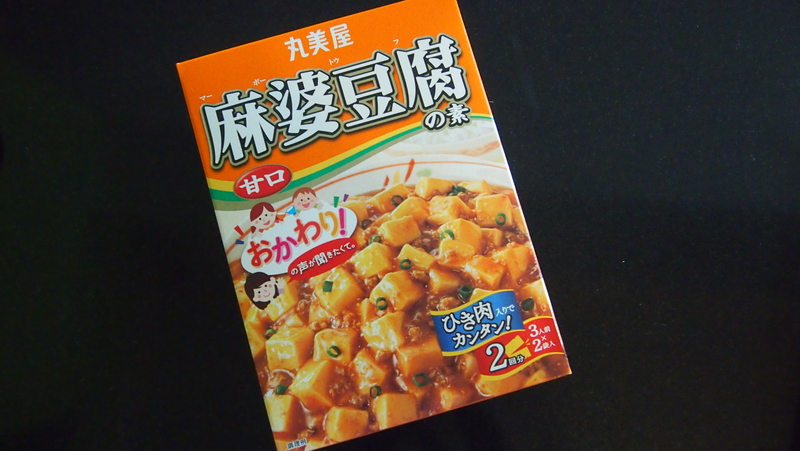 I'm writing this entry so I could remember how to cook it because the instructions on the box is in Japanese!!! I had to ask BOS to look for an English translation on the net only to find a video in Japanese as well! Haha! 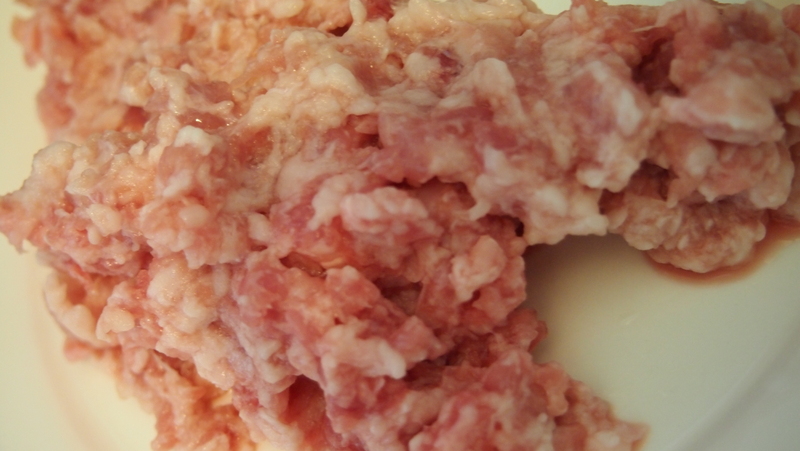 So I'm sharing the process on how to cook and how I tweaked the recipe! 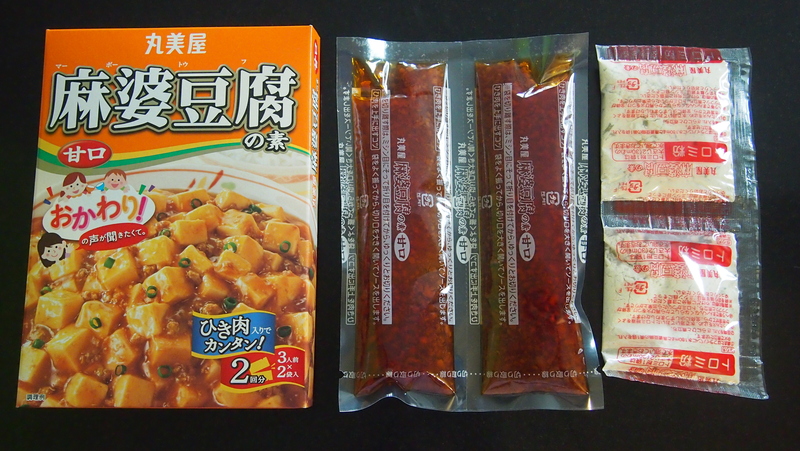 It comes with 2 packs of Mabo Tofu sauce and the flavor packets. You can just use one of each if you're cooking for just one meal or if you're cooking for 2-3 people. 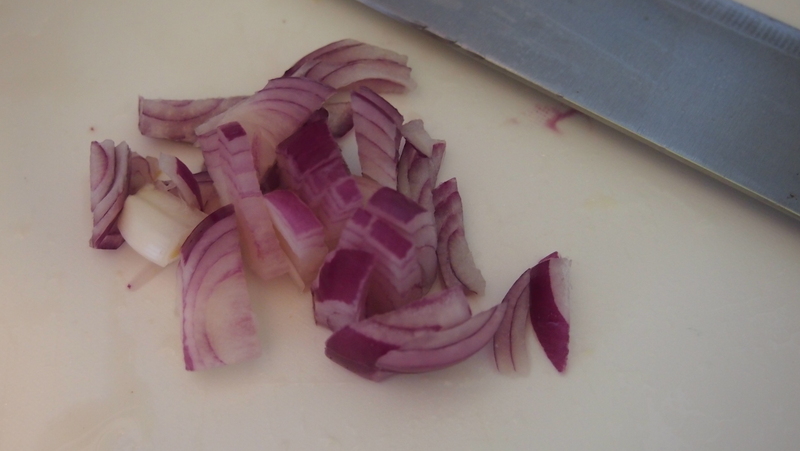 And now on to the part I love, cooking! 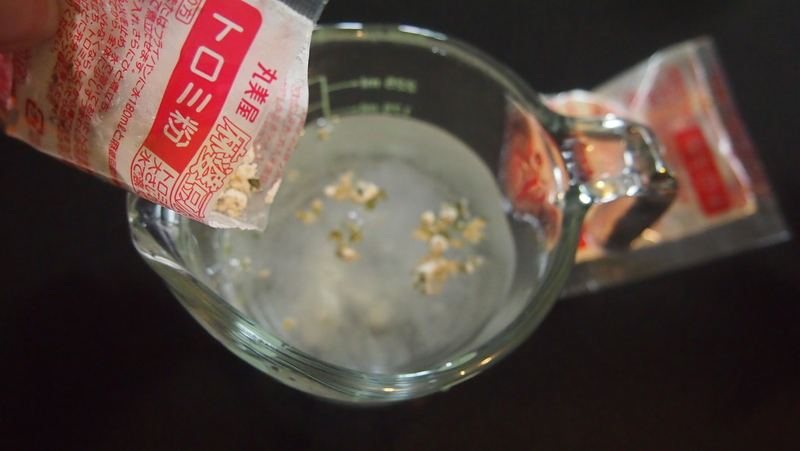 First, dissolve the small packet of powder included in the box in 300ml water, set aside. 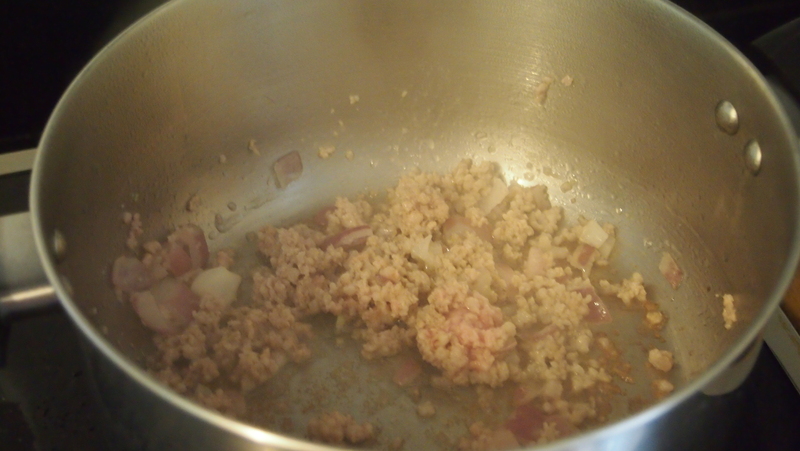 Saute onions until translucent then add ground pork, saute until the pork browns. 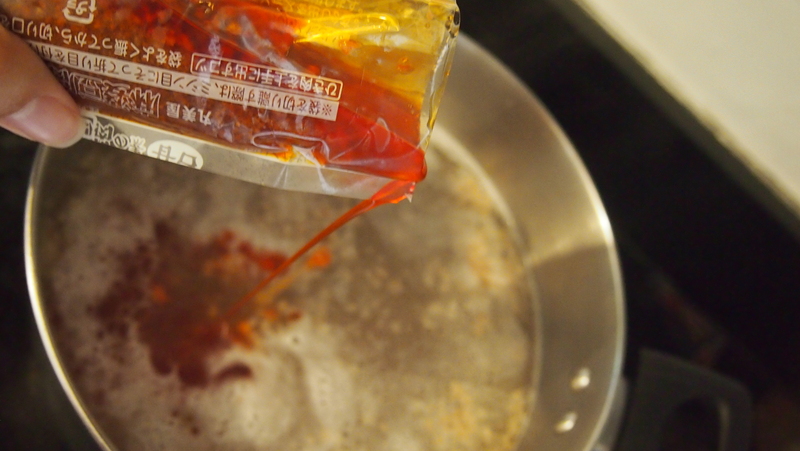 Add 1.5 liters of water and the two packets mabo tofu sauce. 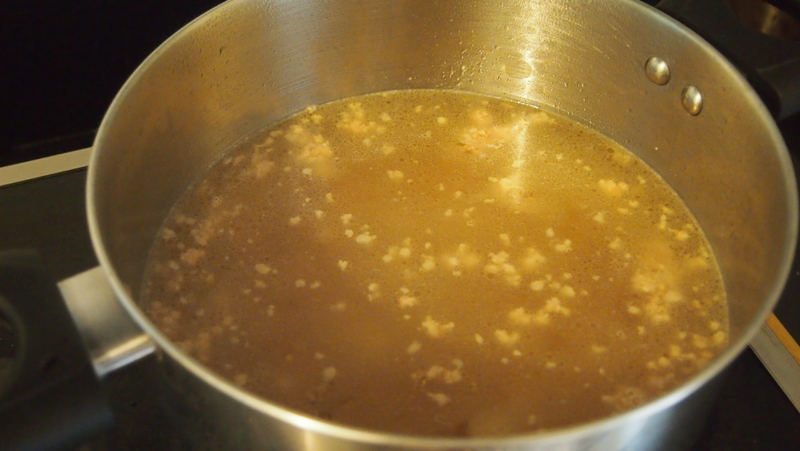 Stir well and let it simmer for 2 minutes. 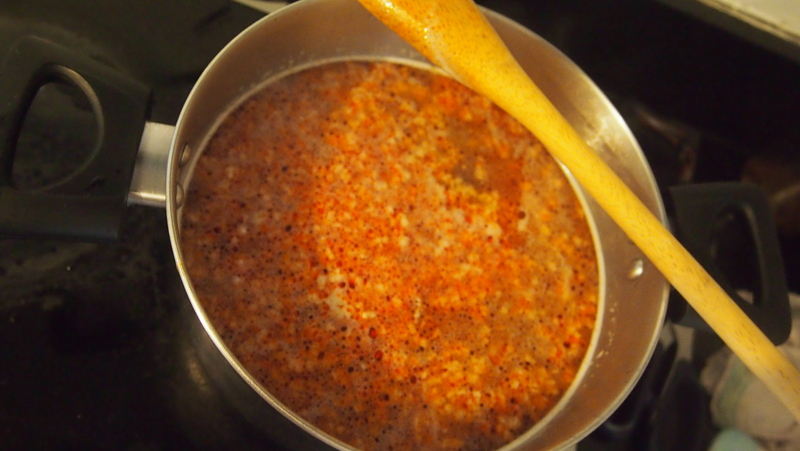 Then add the flavor that was dissolved earlier and stir. 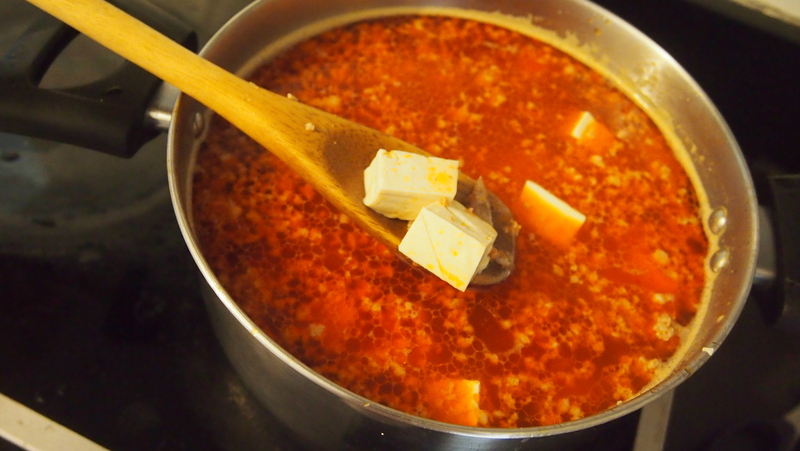 Finally, add the tofu and let it simmer again for another 3 minutes. By this time I'm hungry just by looking at this photo!!! I like to cook in one big batch and just reheat it because I'm lazy like that heehee! 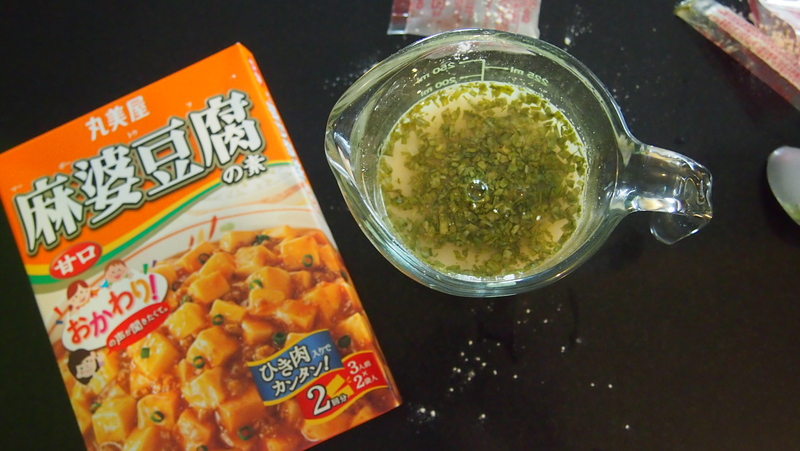 This is so good with a hot cup of steaming rice. Y and R both loved it. 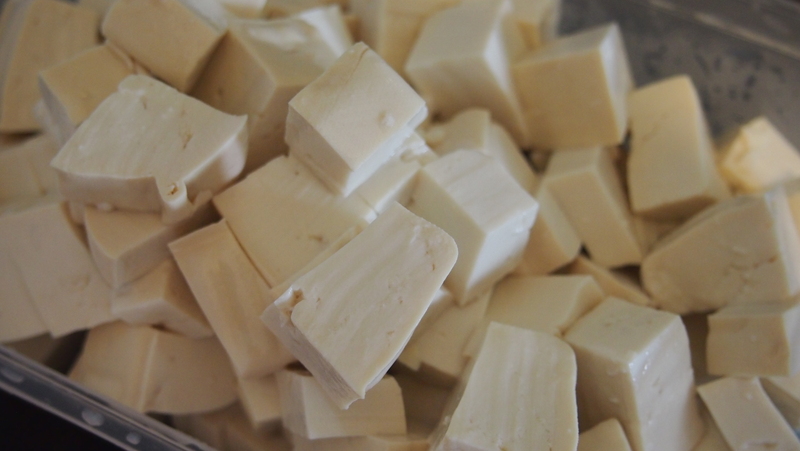 Y likes tofu and R eats anything naman haha! Hahaha! Tinatanong ko sa mga tindera kung ano ano yun. Pag Korean, minsan may English pa. Pero pag Japanese wala! Kaya I like to buy in Konbini sa GH kasi lahat may English label yun nga lang, mas malayo at mas mahal sila. Or tulad niyan, hinahanap ko pa sa internet! Hahaha! Thanks for the entry, it was very helpful. The box is all written in Japanese and there is no way of learning what to do. Cheers from Spain.